This page includes The "Who's Who in the WFSC" columns from the 2000 issues of Across the Fence Post. Art Schmitz, the WFSC's Milwaukee Region VP who took office on January 1, also writes the "Exhibiting and Judging" column for ATFP. Art additionally has been a WFSC judge since the late 1970s, so he certainly has been active in WFSC affairs. Art first became a member of the Wauwatosa Philatelic Society back in 1947. He joined the Polish American Stamp Club in the early 1970s. He also joined the American Philatelic Society and the American Topical Association (life member) in the early 1970s. He was a member of the Milwaukee Philatelic Society for a time but the meeting nights did not work out for him. He was a member of the original ATA Chapter V and is again a member of that recently reorganized group. With all of these memberships, we can see that Art is an active philatelist. Art lives in Milwaukee and has been married to Nancy, his wife of 28 years. He has five grown children, none of which are stamp collectors. Art is 76 years of age and retired from the Milwaukee Public School System, where he was a special education teacher for 35 years. At age nine, Art started collecting stamps because of the "Captain Tim" radio program. He sent in Ivory soap labels for packets of stamps. Most of the stamps were from foreign countries, and this probably influenced one of his early goals to acquire at least one stamp from every country. He still has not accomplished that goal. His collecting interests today are centered on education as a topical and Zambezia, a country that has not existed since about 1918. Art's Zambezia collection is halfway complete. It's not that the stamps are so expensive, but rather that they just are not around. One of the things that Art is proud of is that he started the YMCA Stamp Club in Milwaukee in 1946. He led this group for four years. In the past, Art has won awards for a number of his Irish and education exhibits His current association with exhibits is to judge them. Fishing is a year-round hobby for Art and he just loves ice fishing. He also likes videotaping, but limits it to special events and does not do weddings. He limits his gardening to digging for night crawlers. He is a member of the following Veteran organizations: DAV (life member). 101st Airborne Division Association (life member); and Wisconsin Chapter, 101st Airborne Division Association (life member and chaplain). Other memberships include the Milwaukee County and the Waukesha County historical societies, and the Milwaukee County Genealogical Society. Art is a deacon at his church as well. We wish Art the best of luck in his new position as WFSC VP. It appears that the WFSC made a good choice in getting a person with extensive philatelic experience and knowledge. The Northwood’s Stamp and Coin Club counts Bill Julian among its members who collect both stamps and coins. And it seems they are indeed blessed to have him as a member. Bill was the club's president for three years and he serves as co-chairman for the group's annual show. The show is held each year on Father's Day weekend at Nicolet College in Rhinelander. Bill, who is 73 years young, has been married to his wife, Loretta, for 53 years. He has retired twice: the first time from the U.S. Army as a first sergeant after 20 years of service. 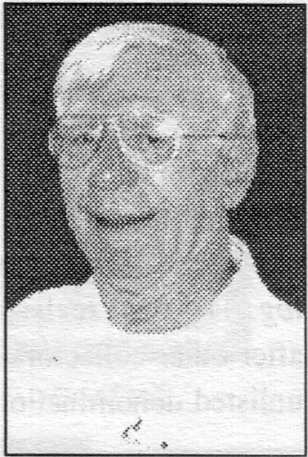 He then spent another 20 years with the Boy Scouts of America as director of camping for the Samoset Council of the Boy Scouts of Wausau before retiring a second time. Bill and his wife live in the town of Newbold in Oneida County on a 51-acre red pine plantation. He bought the land some time ago when he knew that this was where he wanted to retire. He built his retirement home in 1988 and now he raises honeybees and collects maple syrup on the land. Every five or six years he has a contractor come in to remove the excess wood for pulp and some day the land will yield some beautiful logs from the trees that are kept. Bill doesn't expect that he will see that day though. Bill has been active with the local United Way since it was formed. He is also active in the United Methodist Church. He serves as treasurer for an investment club composed of area people who meet monthly and discuss investment matters. He belongs to the Masonic Lodge where he has been secretary-treasurer for 25 years. When it comes to national philatelic organizations, Bill holds membeship in the Precancel Stamp Society and the Perfins Club. Bill doesn't pinpoint any special event that got him started in philately. He found himself picking up interesting stamps and philatelic items while in the army and with the Scouts. At first, he was more of an accumulator than a collector and everything went into a shoebox. He collected anything he could find but later narrowed his interest to U.S. plate blocks. He became serious about collecting after leaving the army and started putting his stamps in albums. When he retired from the Scouts, he had enough time to really get serious about the hobby and began specializing in precancels and perfins. He gave up collecting U.S. new issues because it wasn't fun anymore. It consisted only of going to the post off-ice to get the new stamps and putting them in his album. One time he bought a shoebox full of precancels and apparently the previous owner had no idea of the significarice of its contents. Bill found a Batavia, IL, precancled He also found a block of six with the Milwaukee misspelling error on the bottom center stamp. The 1922-26 U.S. definitive precancels are known with the error on the 1'/z^ and 8c issues. Four stamps on each sheet have a "K" in place of the "L."
Bill actively searches for Bureau precancels, and although he collects local precancels, too, he does not go out of his way for them. The Bureau precancels are well cataloged while the locals are not and new ones keep cropping up.